Generation 2 Pokémon are gradually coming to Pokémon GO. The first arrivals work a little differently than what you're used to with other Pokémon, however, since these "baby" Pokémon can only hatch from eggs. This guide identifies the first generation 2 Pokémon, and offers tips on how you can find them. If you need more Pokémon GO hints and tips, visit our guide! 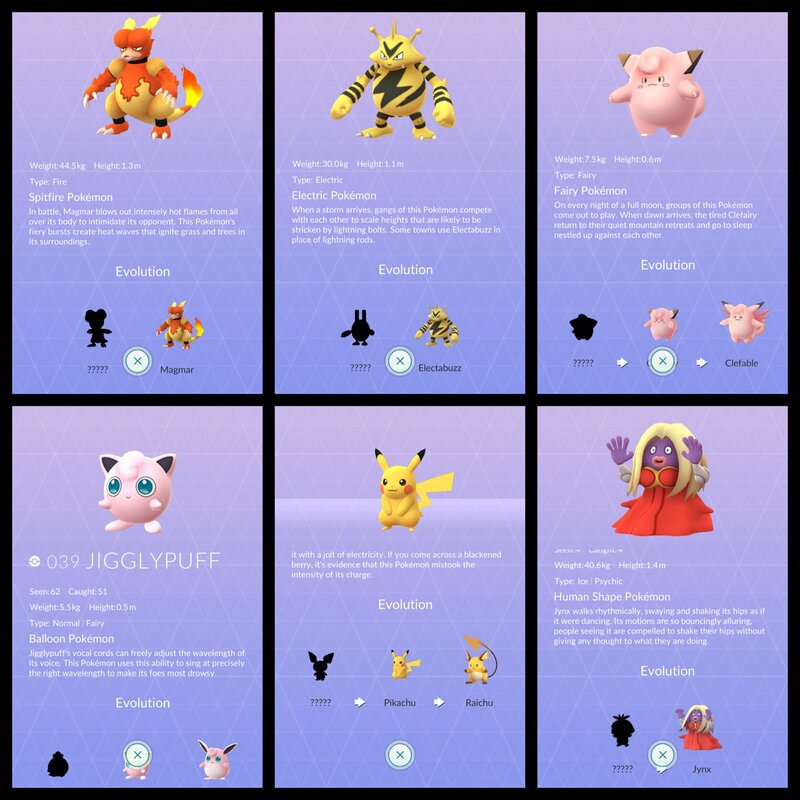 "Which new Pokémon can I find in Pokémon GO's Holiday 2016 update?" Pichu (the pre-evolved version of Pikachu) and Togepi are confirmed new arrivals. However, there are reports of others according to the sleuths at the Pokémon GO subreddit. They reportedly include Igglybuff (the pre-evolved form of Jigglypuff), Cleffa (the pre-evolved form of Clefairy), Pichu (the pre-evolved form of Pikachu), Togepi (the pre-evolved form of Togetic), Elekid (the pre-evolved form of Electrabuzz), Magby (the pre-evolved form of Magmar), and Smoochum (the pre-evolved form of Jynx). There's a bonus Pokémon out there for the holidays, too -- A Pikachu with a Santa hat! You don't have to hatch this little fellah; you should be able to find him in the wild. "How do I find the new Gen 2 Pokémon?" You can only hatch the Gen 2 Pokémon from eggs. They're babies, after all. As usual, you can find eggs at PokéStops. "Which eggs will I find the new Gen 2 Pokémon in?" Yeah, at the time of this writing, winter has thoroughly descended upon the northern hemisphere. Long gone are the balmy summer days of Pokémon GO's debut. Don't be discouraged, though: There are ways to make egg-hatching (almost) pain-free. Invest in incubators -- Pokémon GO's purchasable "hard" currency is gold, and it's never wasted when you spend it on egg incubators. Incubators are hard to come by (though you might get very lucky at a PokéStop), and the single incubator you're allotted when you start your journey probably isn't enough to keep up with the demands of serious Pokémon breeders. So, buy as many incubators as you can, and keep them filled with eggs of different types. That'll increase your chances of catching 'em all. It goes without saying that if you're a minor who's interested in buying gold via an in-app purchase, you should talk to your parents first. Keep Pokémon GO active as you go about your day -- If you're like most inhabitants of the developed world, then you probably have your phone on you at all times. Make an effort to have Pokémon GO running so that it can tally up the distance you walk in a day. You'd be surprised how much you move around! Ideally, turn on the app, make sure it's running, then turn off your screen. Pokémon GO isn't great about detecting your activity when it's running in the background. Tagged with Android Devices,	Guides,	ios,	mobile,	Niantic,	Pokemon.